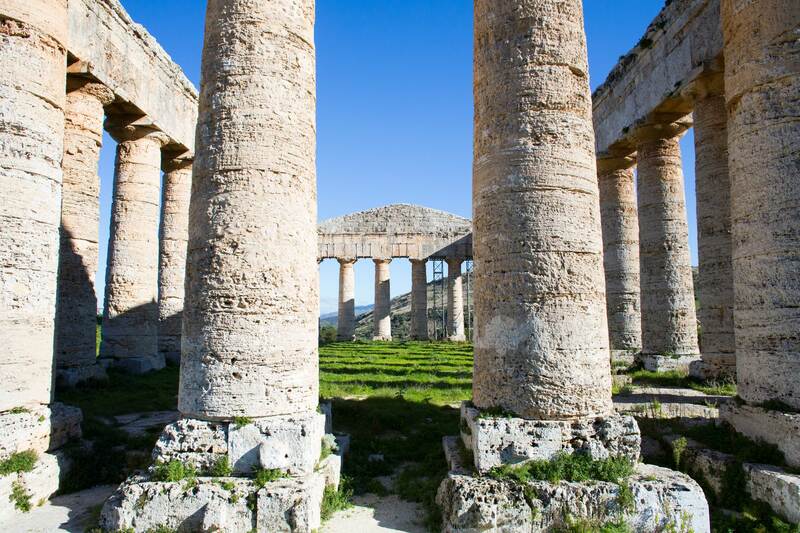 Segesta is one of the most important cities of the Elymians, an ancient people known for its culture and tradition descendant of the Trojans. 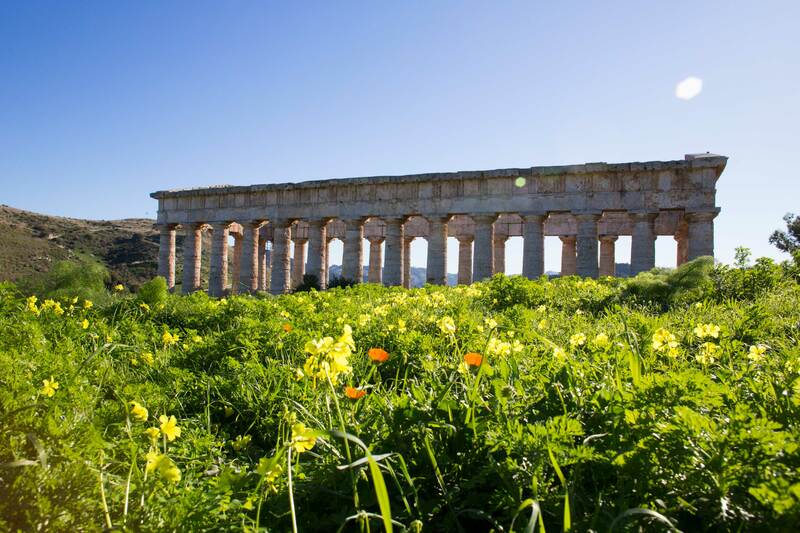 Segesta is characterized by a clearly visible Helenian style and it reached a leading role among Sicilian villages of the Mediterranean area so that involved Athens and Carthage in its remote hostility towards Selinunte. In 408 B.C after destroying Selinunte thanks to Carthaginian aid, Segesta enjoyed alternately periods of prosperity before being besieged and destroyed by Agathocles of Syracuse (in 307 B.C.) who imposed it the name Diceopoli which means City of Justice. Later, Segesta took its original name back but during the “First Punic War” surrendered to Romans who, on the basis of their common Trojan origin, allowed it a tax exemption and conceded a wide territory, so that Segesta enjoyed a new prosperity. The city of Segesta was totally re-built following a micro-Asian model. The result is a very spectacular aspect. For a long time it was thought that Segesta was abandoned after an invasion of Vandals, but recent studies revealed an old – ancient period, the existence of a large village in the Muslim age, followed by a Norman-Swabian settlement dominated by a castle on the top of Mount Barbaro. 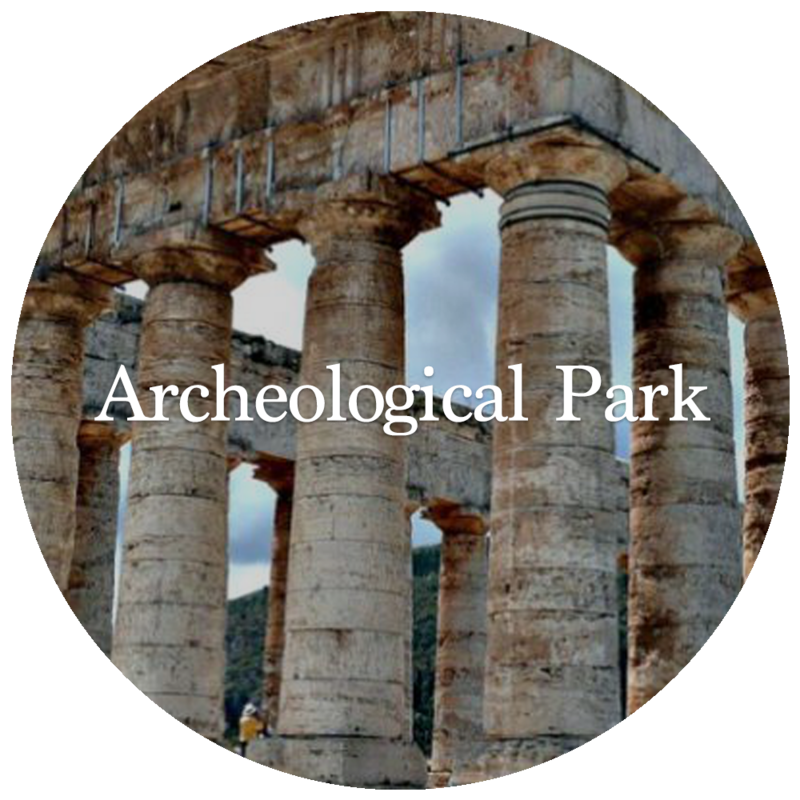 Already famous for two main monuments, the Doric Temple and the Theatre, nowadays Segesta has been living a new season of discoveries, thanks to the scientific excavations focused on restoring a complete image of the city. The city was situated on the top of Mount Barbaro (two acropolis separated by a saddle) naturally defended by steep rock walls in the east and in the south, while the less protected slope was fortified with a surrounding wall characterized by monumental doors in the classical period and later (during the first imperial age) substituted by a second wall line in a higher position. Outside the walls, along the ancient entrance roads to the city, there are two important sacred places: the Doric Temple (430-420 B.C.) and the Sanctuary of Contrada Mango (VI-V sec. B.C.) and also a Hellenistic necropolis.The urban planning of Segesta is still being studied: some possible road layouts, the Agorà area and some habitations have been traced. Some more recent remains of Segesta are visible on the north side of Acropolis, where the theatre is: the Castle, the Mosque and the Church founded in 1442 on a multi-layered land. 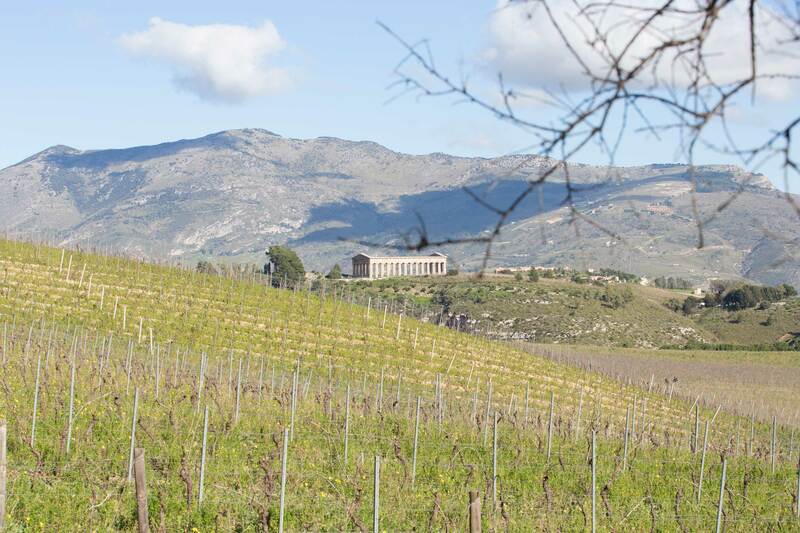 Calatafimi Segesta’s origins date back to the 9th century. 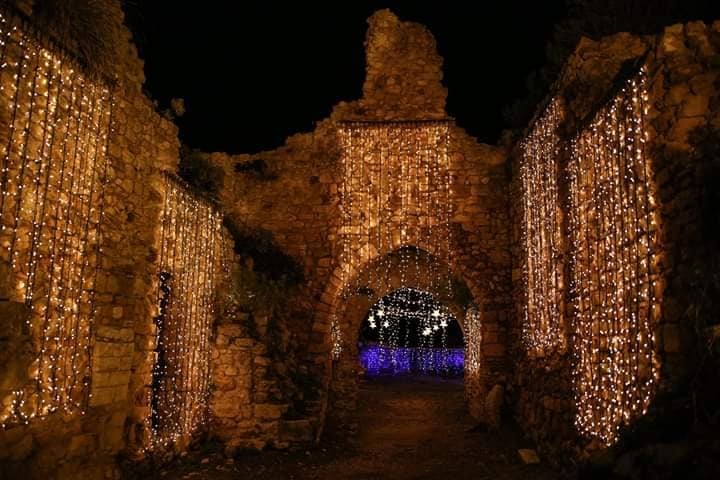 The Arabic origin of the town’s name “Qal’at Fîmî” comes from the Castle Eufemio the name of the officer in the service of Byzantium who according to tradition favored entrance of Arabs in Sicily. 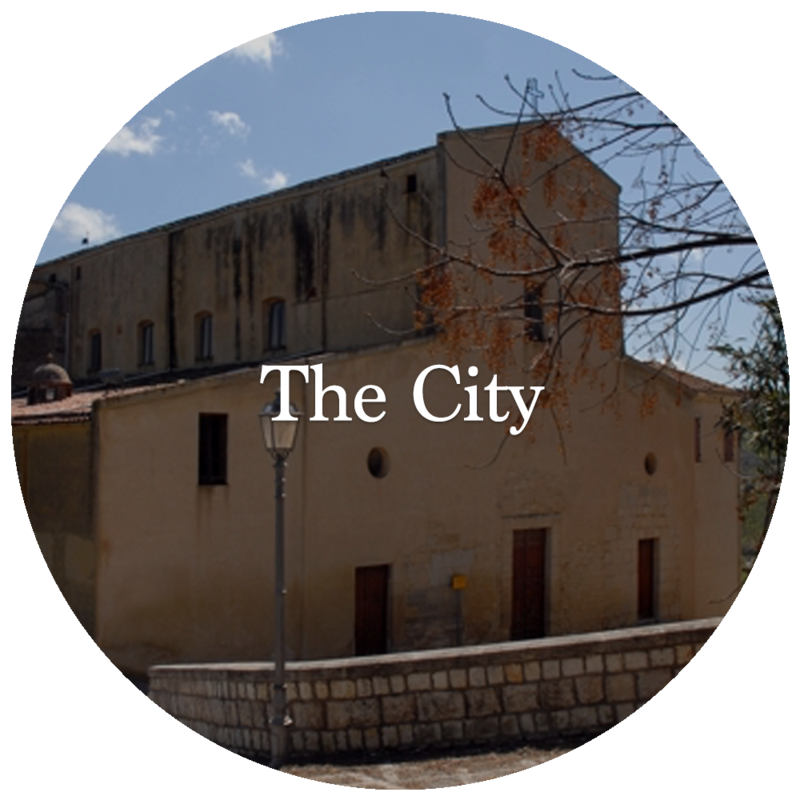 Calatafimi, with Alcamo has been part of the Modica County from 1420 to 1802 until it has been annexed to The Kingdom of the Two Sicilies. Calatafimi has been annexed to the Kingdom of Sardinia following the expedition of Mille. Here with the aid of Redshirts, Garibaldi won the battle against Neapolitan troops in 1860, 15th May on the hill’s top of Pianto Romano where an imposing mausoleum designed in 1885 by architect Ernesto Basile. During the battle, by tradition Garibaldi said the historic sentence: “Qui, o si fa l’Italia o si muore!” ( Here we create Italy, or we die!). 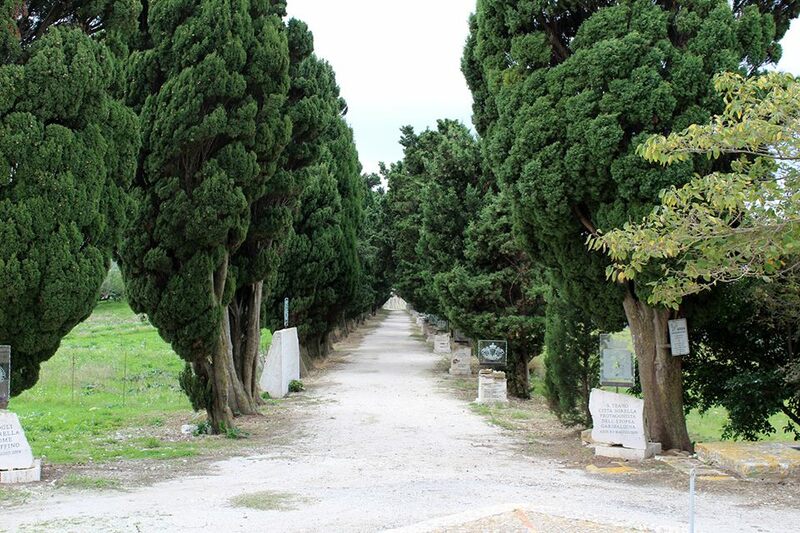 Calatafimi Segesta boasts not only the peaceful archaeological park and the historic Ossuary of Pianto Romano, but also an area of narrow twisting streets recently enhanced and embellished by the town hall to promote both its historic centre and the importance of tradition. 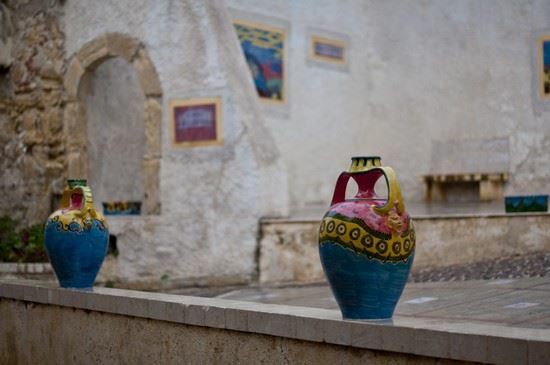 Thereby alleys, courtyards, stairways, stone walls and arcs, most of them damaged by the earthquake in 1968, have become a renovated part of the historic heritage in Calatafimi Segesta since 2000. 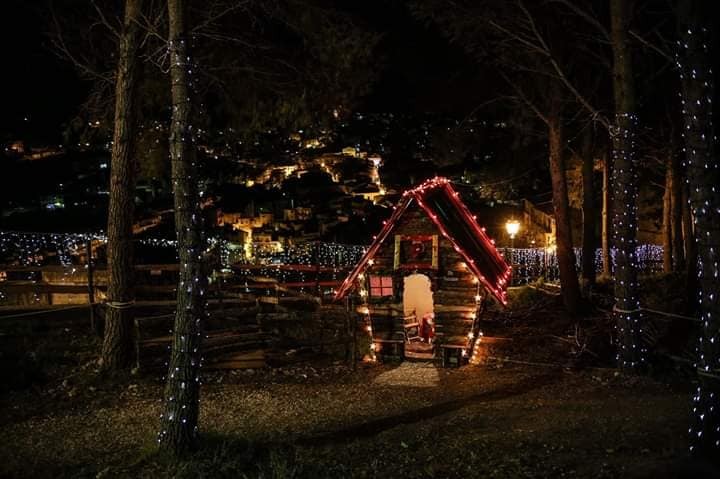 In projecting these Medieval Alleys, experts have given prominence especially to the strong link between the village and tradition, so that visitors can enjoy a special travel back in the memory of this enchanting village. Typical decorations and details have inspired Marco Vitale’ s book: “Vicolo dei Proverbi”. It offers an original point of view on great subjects of local folklore and Garibaldi’s heroic deeds. Most of them reproduce also history and symbols lied to the traditional Ceti , the major ancient families of Calatafimi. Mini Cruise Favignana and Levanzo has daily departures from the port of Trapani at 09:30. This tour can be made in large boats or small boats of 30 passengers max (Il Caicco) and includes a visit by sea or by land of the two main islands of the Egadi archipelago: Favignana and Levanzo. In about 40 minutes of coastal navigation you can reach Favignana, and it will be possible to visit the center of the town and the nearest beaches thanks to the two-hour stopover scheduled in the program. Back on board the boat, the sea tour of the most beautiful part of the island begins, with a stop for swimming at Cala Rossa or Cala Azzurra (the choice is dictated by the weather conditions). Following is lunch, offered on board and included in the price. The second stage of the tour, Levanzo, can be reached in about 20 minutes. Also on the island of Levanzo there is a two-hour stop on the ground, useful to visit the village or to take a bath directly from one of the nearby beaches. Then continue the boat tour, reaching the Faraglione di Levanzo and return to Trapani for 5:30 / 6:00 am about. 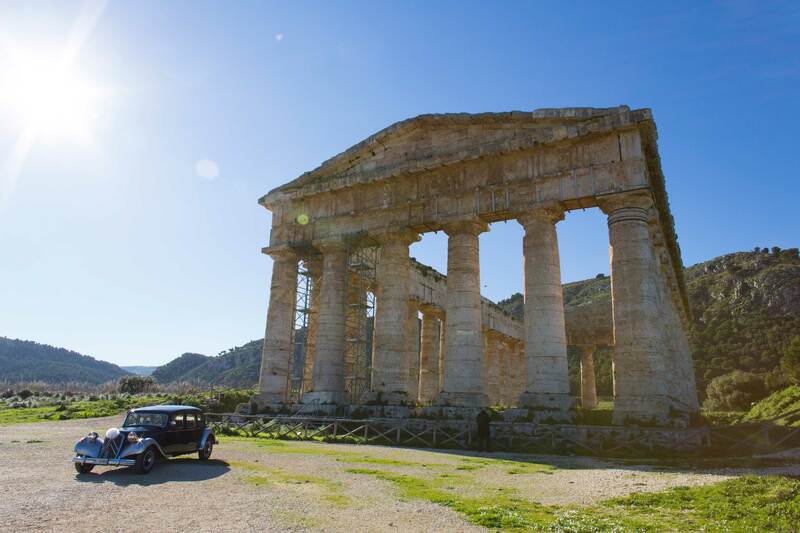 Love adventure and landscapes, then discover our Segesta Tour 4X4 itineraries. The tour begins with the meeting at the Segesta Parking where after an initial briefing we leave for the Segesta campaigns. 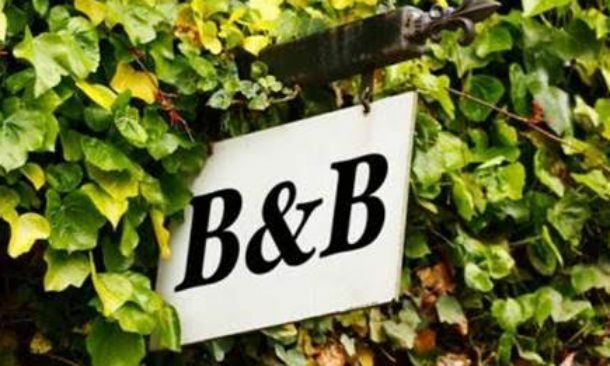 Crossing the countryside, we will stop at the vineyards and orchards where Segesta Tour 4×4 will taste the delicious seasonal fruit, produced by these lands such as black and white grapes, mulberries, pomegranates, yellow melons, watermelons, prickly pears, providing information on the territory. 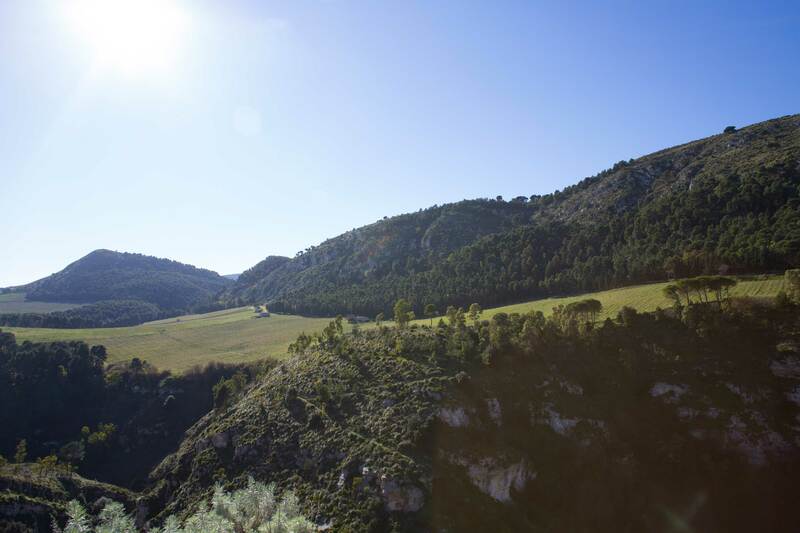 Direction towards Mountain Pispisa which dominates the archaeological park of Segesta from above and where suddenly the landscape will change into coniferous woods, oak woods and the typical Mediterranean vegetation, with the possibility to see also the kestrels and the peregrine falcons that populate these areas. 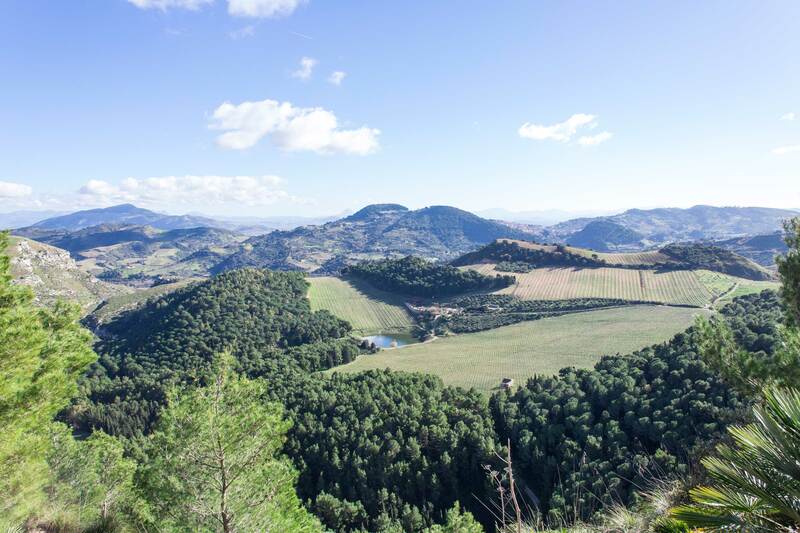 From Mountain Pispisa we can then enjoy the wonderful view of western Sicily that goes from the view of the Egadi islands to the Gulf of Castellammare. The route will continue through the Segesta countryside with the crossing of the rock gorges to get to the wonderful view of the temple of Segesta where we will approach the distance of about 200 meters as the crow flies and from which we will give some historical and archaeological information thanks to our archaeological guide. 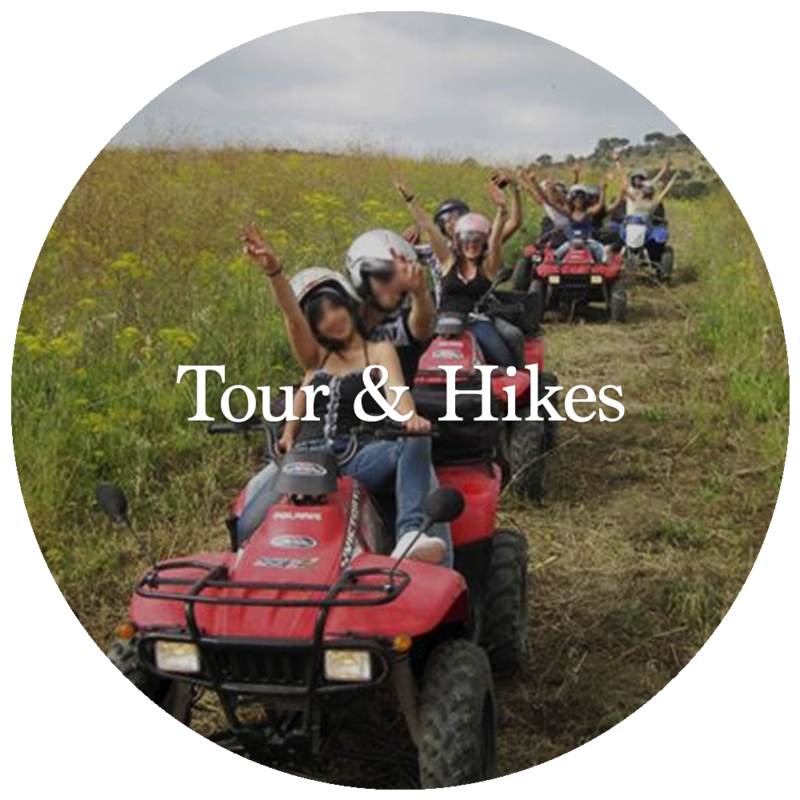 The tour will eventually close with the return to the starting point. 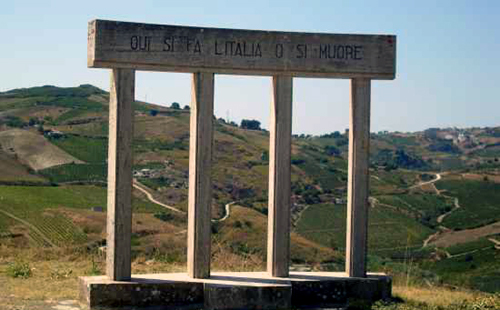 At a distance of 5 km from Segesta lies the town, a territory rich in cultural deposits of history and archeology such as Castello Eufemio, I Vicoli di Calatafimi, Bosco Angimbé, The Ossuary of Pianto Romano and finally the great natural resources such as sulphurous hyperthermal waters of the Segestan Baths. 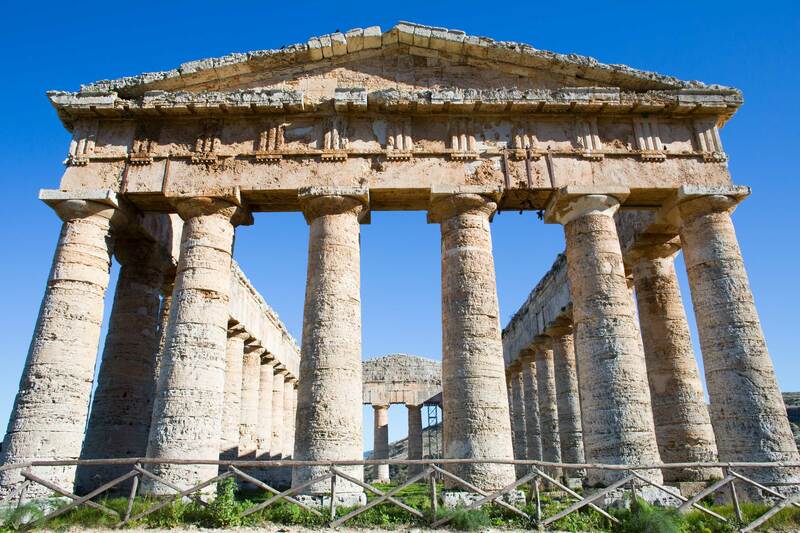 Calatafimi Segesta, tourist center of the province of Trapani is a territory that will give you considerable satisfaction during your holidays, it is located between the airport of Trapani and Palermo, a reference point to reach the main tourist destinations and seaside resorts in the province. Scopello, San Vito lo Capo, Castellammare del Golfo and you will also find a few km, Erice, Mothia and Selinunte. 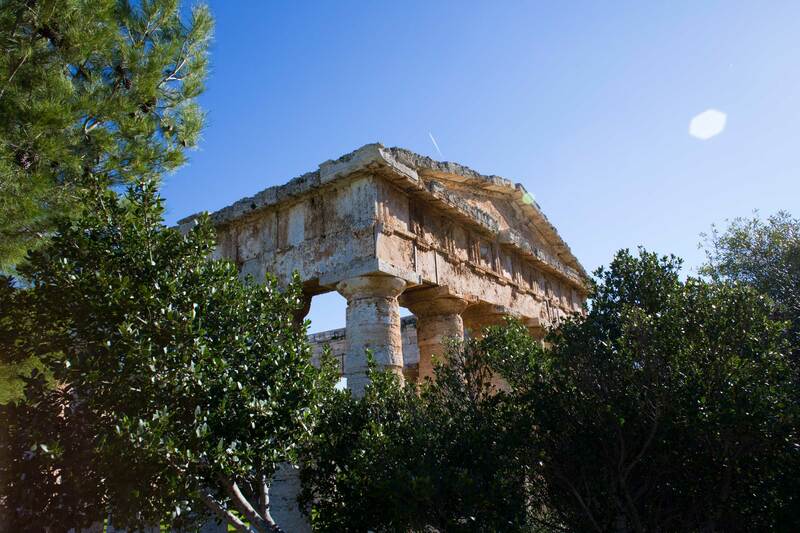 Calatafimi Segesta is the ideal place to organize your holidays with ease. The name was given primarily for the oval shape and then for autochthonous in the territory of Calatafimi. 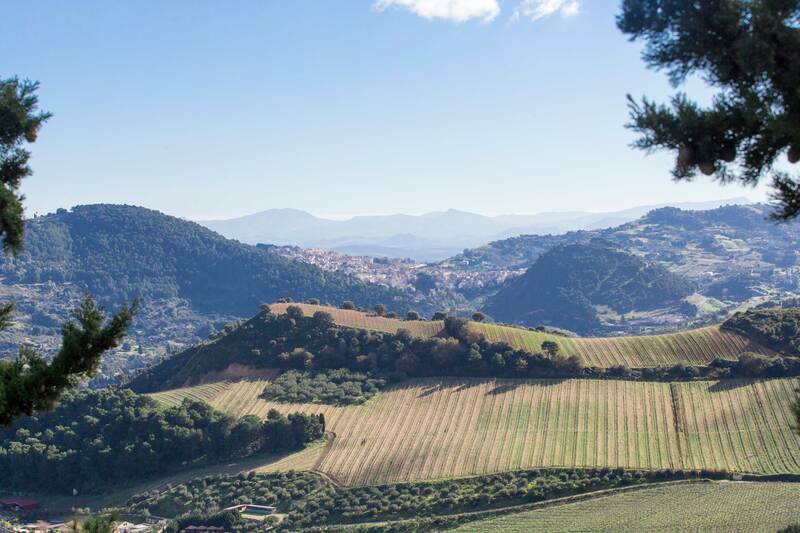 Ovaletto of Calatafimi requires careful and continuous care; usually the trees after pruning are pruned every three years; Blonde oval-shaped orange that ripens from April to June, without seeds. The product stands out for many aspects. 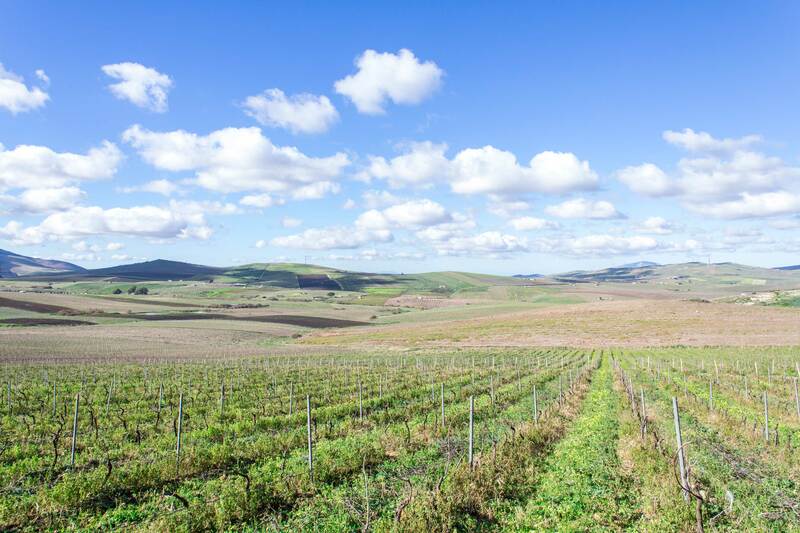 First of all, it does not present the phenomenon of the “pre-flowering” of November characteristic of the Calabrian oval, and which gives rise to the production of fruits called “bastards” of no commercial value. The harvest is done manually and covers the period from May 20 until early July. Typical product of the town of Calatafimi Segesta is the Cucciddato made and sold mainly during the solemn celebrations at the Santissimo Crocifisso patron of the city. Cucciddato is a simple bread that has a particular shape. It is also a symbol of the greatest social class of the old Calatafimi, the class of Massari. The Cucciddato has a flower shape, a “decorative” bread easy to prepare, on the outer edge are left inlets that after its cooking this edge opens up reminding the shape of the sun. Li Miliddi from Calatafimi, translated from Sicilian, are real bread biscuits. They are dry biscuits typical of the culinary tradition of Trapani that were left to brown in a wood oven after having baked bread. Rectangular, crispy, salty, they were eaten for breakfast with milk or a snack with wine. Curiosity: in ancient times, in the taverns, before mixing the wine, these biscuits were served because the aromatic substances also made a wine of poor quality tasty. 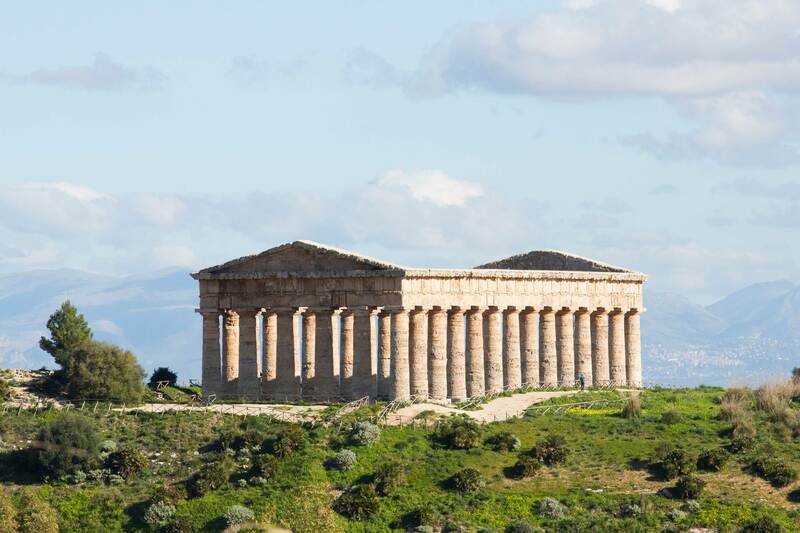 By car: A29 highway from Palermo to Trapani, exit to Segesta and continue for Calatafimi Segesta follow the sign after the archaeological park. 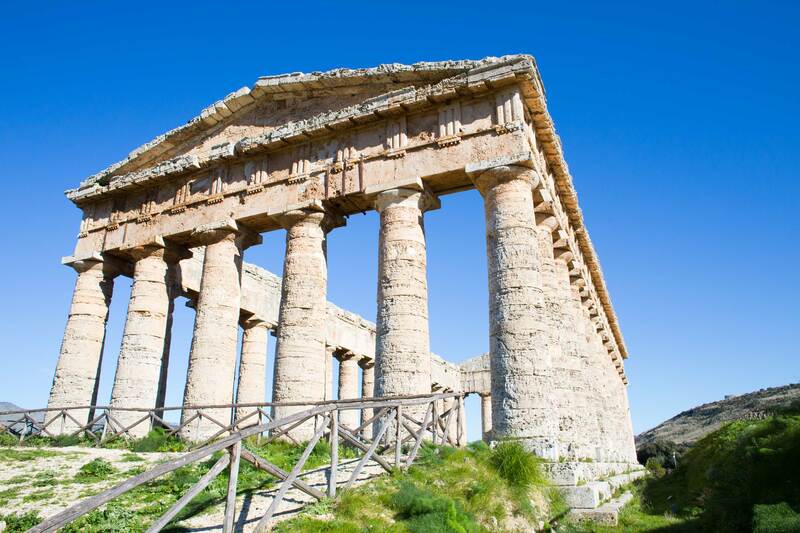 By bus: From Trapani Tarantola Bus Service provided a departure every hour and stop at Segesta archaeological park and the city. 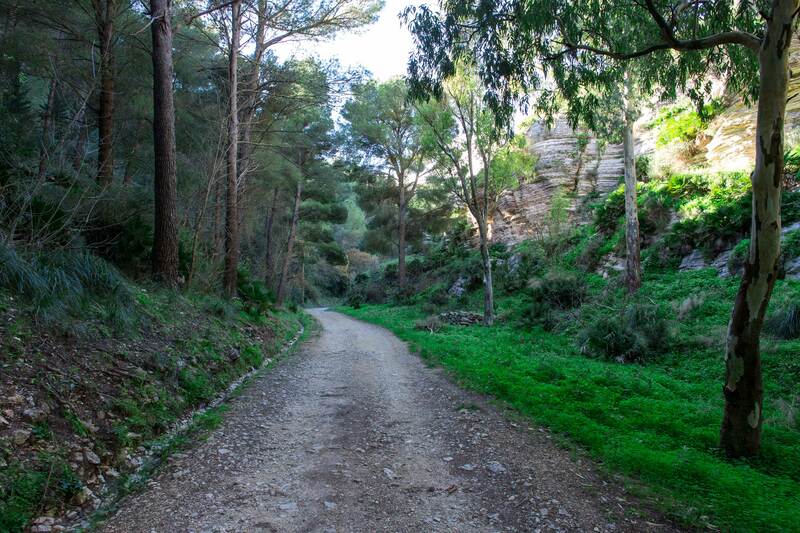 It exists also routes from Palermo, Castellammare del Golfo and Alcamo. By plane: Airport “Vincenzo Florio” of Trapani A29 highway from Palermo to Trapani, exit to Segesta and continue for Calatafimi Segesta follow the sign after the archaeological park. Distance 50 km.